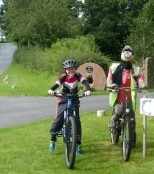 We have a fantastic choice of family cycling holidays in the UK. We have both guided and self-guided options, giving you the flexibility to decide whether you would like the freedom to cycle as a family, or explore as part of a group. There is no better way to explore this beautiful country than by bike, rolling alongside canals or taking in beautiful countryside with the little ones. All our tours are available throughout the UK, meaning there's a cycling option for you regardless of your preferred location or ability. 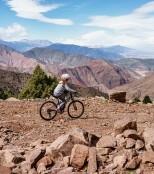 The post Our Favourite Family Cycling Holidays… appeared first on Skedaddle Blog. The post Coasting with the Kids… appeared first on Skedaddle Blog. The post Skedaddle and splash this summer… appeared first on Skedaddle Blog.